The main actor of a television drama Tomaru has been kidnapped by the ninjas who appeared previously during a shoot, and they are demanding a ransom. Chocho is extremely concerned about Tomaru, and is angry at Tomaru’s bodyguards, Jonin Konohamaru and Moegi, for being unable to prevent this from happening despite being there. 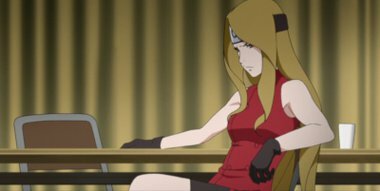 The female lead Ashina has been chosen to be the one to pay the ransom by the kidnappers, but among all this, Boruto and Shikadai can’t help but feel that something is off about this whole situation.